The Janssen Pharmaceutical Companies of Johnson & Johnson announced the submission of a supplemental Biologics License Application (sBLA) to the U.S. Food and Drug Administration (FDA) seeking approval of STELARA® (ustekinumab) for the treatment of adults with moderately to severely active ulcerative colitis. STELARA is the first and only biologic targeting interleukin (IL)-12 and IL-23 cytokines, which evidence suggests play an important role in inflammation associated with auto-immune conditions, such as ulcerative colitis. 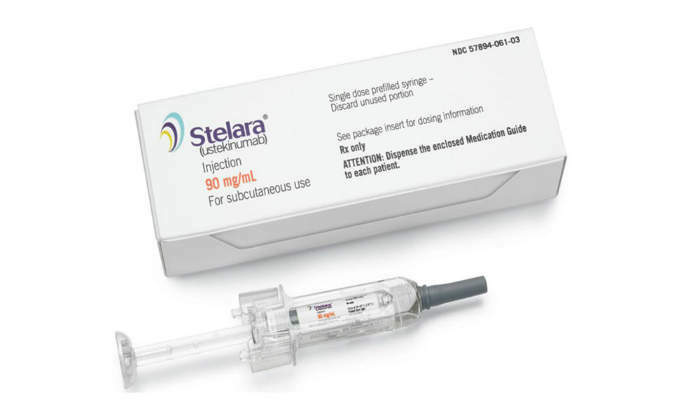 STELARA is approved in many countries, including the U.S., for the treatment of moderate to severe plaque psoriasis, active psoriatic arthritis and moderate to severe Crohn’s disease. “We hear from so many people with ulcerative colitis that there is a significant need for additional therapeutic options. STELARA will offer a new mechanism of action that blocks IL-12 and IL-23 proteins and thereby inflammation of the colon,” said Andrew Greenspan, M.D., Vice President, Immunology Medical Affairs, Janssen Scientific Affairs, LLC. STELARA® (ustekinumab), a human IL-12 and IL-23 antagonist, is approved in the United States for the treatment of: 1) adults and children 12 years and older with moderate to severe plaque psoriasis who are candidates for phototherapy or systemic therapy; 2) adult patients (18 years or older) with active psoriatic arthritis, used alone or in combination with methotrexate (MTX); 3) adult patients (18 years and older) with moderately to severely active Crohn’s disease who have failed or were intolerant to immunomodulators or corticosteroids; or failed or were intolerant to anti-TNF therapies. For a limited time, download a free report from this Global Market Report Suite for Immunology Drugs.